Director Sir Jonathan Miller has told Jeremy Vine that at 79, he feels he is a better theatre director because he has seen and experienced more than younger people. Speaking on the Andrew Marr Show the director said there were parallels between his new play, 'Rutherford and Son' and the current financial crisis, with people being 'wrecked by the banks'. When asked about his directorial style, he said he liked to direct people to forget 'what they ought never to have known in the first place' and do what ordinary human beings do. 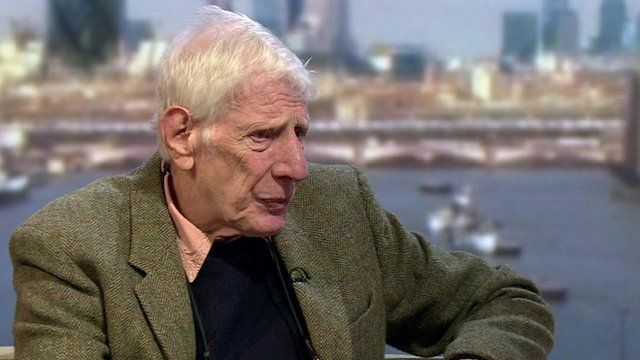 Sir Jonathan Miller also said he liked to play games with his performers.